As first tipped by Australian Business Traveller, American Airlines will launch a full premium economy service on international flights starting in late 2016 – click here for full details. PREVIOUS | American Airlines and Malaysia Airlines could both launch premium economy class next year, although Oneworld partner Qatar Airways has ruled out adopting better-than-economy seating. Premium economy is proving increasingly popular with a range of passengers, including self-employed business travellers on a tight budget as well as regular business class travellers who cash in their hard-earned points for an annual family holiday. "We’re looking at it," American Airlines CEO Doug Parker told Australian Business Traveller earlier this month, after a pause to carefully choose his words. "We think there’s a lot of opportunity there." 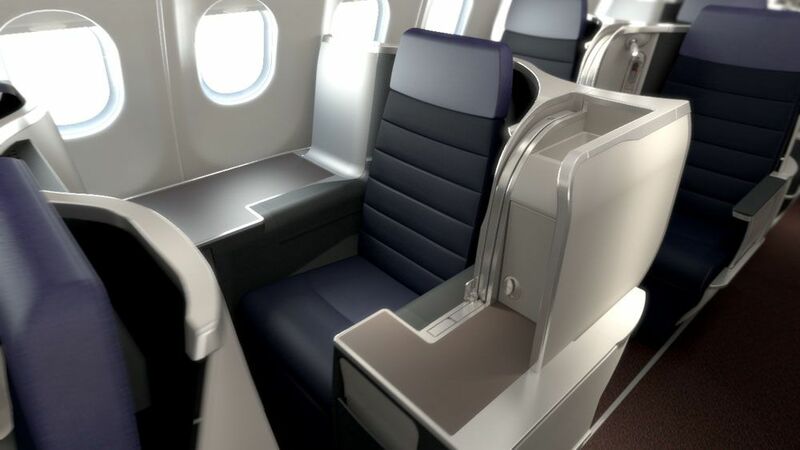 Malaysia Airlines is also mulling this middle ground and expects to make a decision early next year, which could see a small premium economy cabin added to its fleet of Airbus A330s at the same time as new lie-flat business class seats (below) are fitted. "We are very happy with business class demand, and this gives us the opportunity to increase the revenue per passenger in the economy class" says airline CEO Christoph Mueller. "The target passenger is in economy class, and you don't want to cannibalise the business class." But Qatar Airways says you won't see premium economy anywhere on its fleet. "We won’t roll out premium economy" affirms CEO Akbar Al Baker in an interview with Forbes. "I don’t think there is any room for premium economy in our region" Al Baker says, adding that in the airline's current economy cabin "we give you a premium economy seat with an economy class price." Not to mention the awful seating they have on their B787 aircraft..
Give Qatar a wide miss thank you!! Qatar, like Etihad and Emirates, are best avoided unless you're in Business or First. ...Or you're flying in an A380. Qatar's A380s have 18.5" wide seats in economy. Emirates have 18", and I don't know what Etihad have but I think it would be >18"
If you're in an A380, Economy is good on the ME3. Otherwise, I agree with you. Many people fly them because they think they are 'good' in the Y part.! Qatar's new 777s are now being delivered with 10-abreast seating in economy, so you might be lucky to get an older 9-across aircraft but could equally get a newer 10-across aircraft. 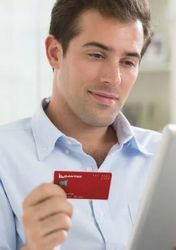 I have made a couple of leisure trips in premium economy, where the price over economy has been between 25 and 50%. With these options avalaible Qatar won't see me in their economy class. The mixed fare options between Australia and Europe with SQ and LH are a good comprimise for many. AA considering Premium Economy is interesting, but on the other hand, AA's "Economy Plus" (aka "Survivable Economy") product does fill an important niche, and Premium Economy products are usually around twice an Economy Class price. Who knows... maybe airlines will start to segment the market further, by integrating more Survivable Economy seats into the overall Economy cabin (through the SANTO seat, or through lessening the density in exit rows). I mean they already charge more for extra legroom seats... so combining an extra legroom product with an extra width seat and otherwise giving it standard Economy service, I'm sure the product would fill a niche. That said, would a "Survivable Economy" product cannibalize demand for a "Business-Lite" type product? That's a legitimate concern but I think if the Business-Lite product is sufficently well-differentiated that won't happen... particularly if the full Business Class is a fully flat bed with direct aisle access and nearly-first-class-level service. MAS is an interesting case though, since their new Business cabin will be a little bit below JAL/SQ/Cathay/Qantas/etc.. Would a Premium Economy positioned as a "Business Lite" cannibalize their demand? Personally I doubt it but again, it depends on the product's positioning. The service also matters too. MAS is an interesting case though, since their new Business cabin will be a little bit below JAL/SQ/Cathay/Qantas/etc..
MAS's new J won't be as good as JAL's new J, or CX's, but they look to be far better than QF's: MAS's will be mostly direct-aisle access, while QF's are all step-over or be stepped-over. Oops, sorry, I was thinking only of QF's 747 and A380 J seats, not their new A330s, which will have all-aisle access. Correct, I was talking about QFs A330 fleet. Given how this is the fleet that typically operates within Asia, the new Business Suite is the product with which the new MAS will be competing. Did SQ not say long back that they dont see demand for PE..
Times change. SQ lost a lot of customers to CX who does have Y+. Yes, esp. from ports such as ADL where the SG Regional A330 J is only a fraction better than CX Y+ but with price savings. SQ is great though long-haul. There was a review recently on another site of SQ's PE offering and the conclusion was (I paraphrase) "don't bother"
In fairness to Qantas, they offer one of the better Premium Economy products on the market, especially when it comes to food where you get a meal that's more business class than economy. As a tall bulky guy PE is attractive. But if i had to chose between a full PE product witj a different seat or an 'economy plus' product where it was jusy extra legroom (35 inches is enough) but for only another 8-10% (like the US carriers offer), I'd take the economy plus option. I'd rather just pay for space than other frills which don't add much to my comfort. Just what are you basing your generalised statement of PE on? Of the airlines currently offering some form of "Premium Economy", almost all of them have a different idea of what it is and will thus run it in different ways. You can't just say "Premium Economy is x" and claim that for all airlines using the term. You didn't even mention the extra leg room on QF PE. Your claim that QF used to run DFW-SYD via BNE so "domestic passengers could take that flight" just proves that you have no idea what you are talking about. The ONLY reason QF used to operate QF8 via BNE was because the west bound wind prevented the 747-400ER from operating directly to SYD without a fuel stop. I'm not the poster who wrote that, but my interpretation is not that QF ran the flight with the stop so that domestic flyers could take it, but the other way around: because the flight had a stop, domestic flyers could use it. If AA introduce Prem Economy then on the routes with those planes the Systems Wide Upgrades might only get you from economy to prem economy instead of business class which would leave some unhappy punters!! Yes, this would be a major reduction in the value of an SWU. AA currently considers its Main Cabin Extra seating to be "premium economy". Does this mean they might be willing to reconsider what they see as "premium economy"? I don't believe AA considers MCE as PE. AA doesn't consider MCE to be a separate cabin nor a separate class. Instead, AA says these are more desirable seats. I seem to recall that MH's strategy going forward was to concentrate on regional and mid-haul routes. Would there actually be a demand for premium economy on these shorter flights (shorter than true long-haul)? There may be. It depends on how the product is positioned. If the PE product is just "economy plus" then it won't really have too much appeal. I mean, a little more legroom doesn't make too much of a distance for a flight that's less than 7 hours. If the PE product is a "business lite" that is meaningfully differentiated from the Economy product (we can argue that the fully-flat-beds-with-mostly-direct-aisle-access of the Business Class constitute sufficient differentiation from PE to Business), there will be more of a case for it as appealling to travellers who want an upgraded experience yet don't need/want a fully flat bed. Its an issue of finding the sweet spot. The value of comfort increases with the length of the flight. MH is allegedly planning on shifting to a mostly medium-haul route network over time, so the "sweet spot" in the market narrows a bit. Too much of a "business lite" = cannibalizing business, but if its only a slight improvement on economy then less people will be enticed. Your treatise in general could apply to any airline considering introducing premium economy. I believe the only airline that flew a successful and affordable Premium Economy product is EVA Air (Taiwan). They were one of the first airlines to introduce Evergreen Deluxe class in the early 90s, and were successful in maintaining it through to even now. "It's the seat and room stupid" that count!! 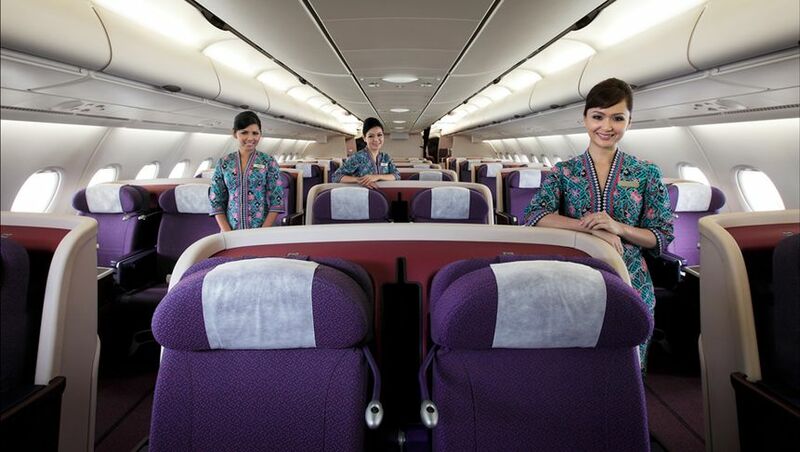 Comment on "American Airlines, Malaysia Airlines considering premium economy"